Hello ! 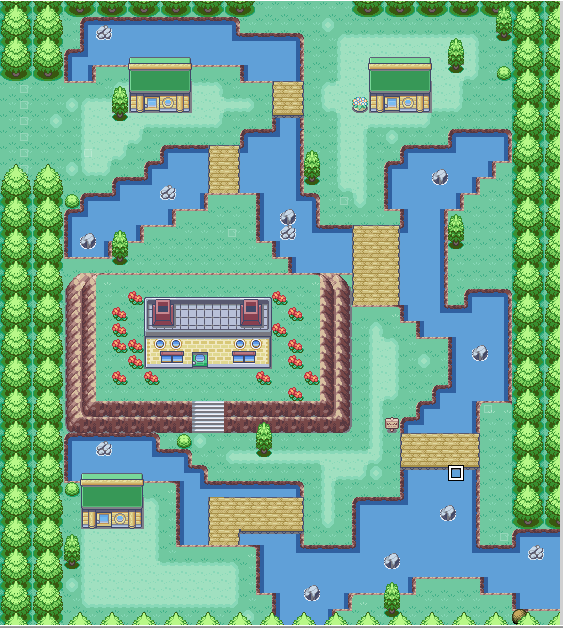 I'm quite new here, and to Pokemon fan games in general, so I'd like to get feedback and advice about my maps ! Heya mate! First and foremost, welcome to the community! That map looks AMAZING! I almost can't believe this is the first one you've made! They layout is clean, while still being visually really interesting. You get full marks on both gameplay and aesthetics. The only two things I could remark is that the unaccessible house and the tall grass on the river bank are looking a bit out of place in such a small town, but that's a pretty minor thing. Honestly, the real advice I can give you right now is to continue mapping like this. Looking forward to see more from you! The big building is supposed to be an airport, but I haven't gotten to making any custom graphics yet. Thank you for the feedback ! I'm glad you liked the map, and am pretty proud of it ! I, as you suggested replaced the unaccessible house with a regular one, and got rid of the tall grass ! 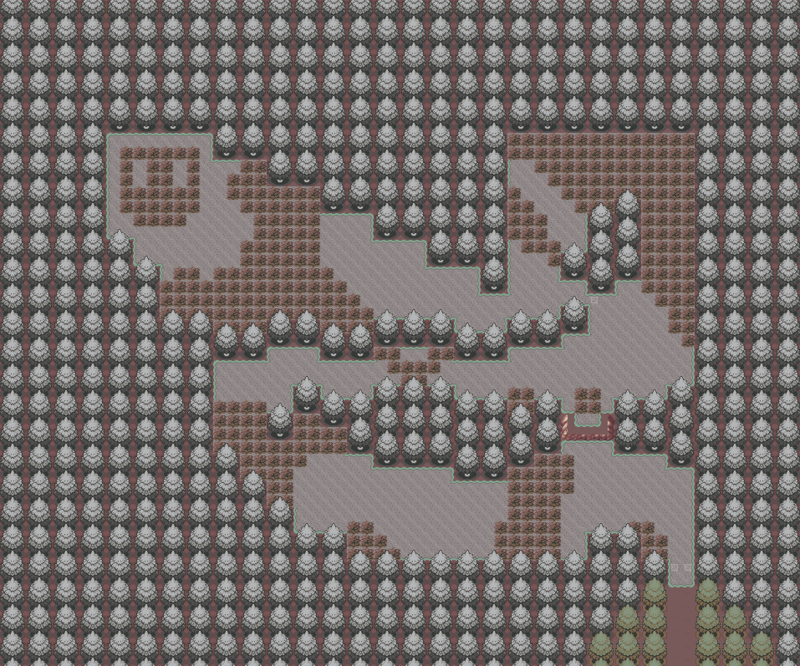 Hi, looking for a little bit of feedback on some maps. Thought Here is a sort of mining museum, with tours and a gift shop. Stairs up are the entrance, exit are the stairs coming up. You did a great job on all of them. The only thing I personally dislike is how much less saturated your trees are compared to your water and buildings. 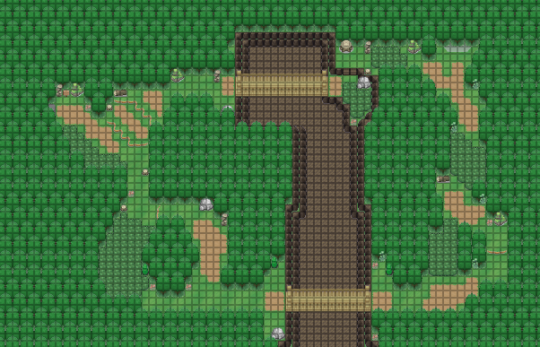 Maybe if you made the trees a tiny bit more vibrant the map will blend better. 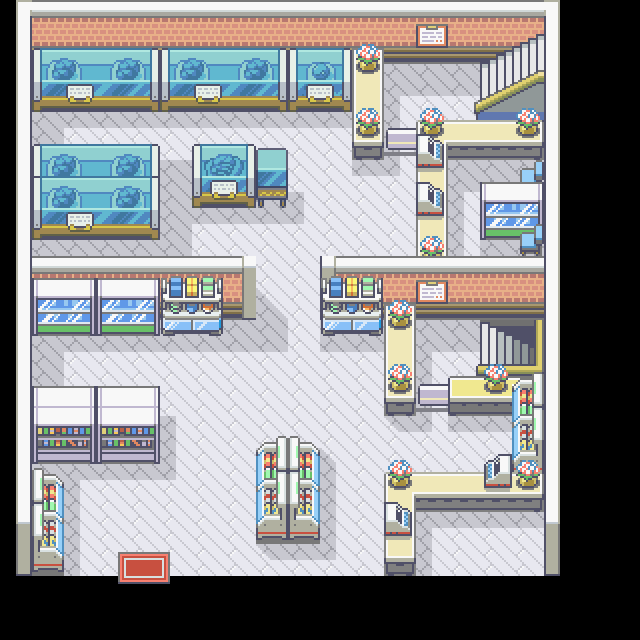 Ah right, i forgot tileset credits, well i kinda liked them better than the standard LeafGreen FireRed. The Trees are Kyle-Doves. Hey this is my first time here and i just got to mapping recently. And i'd like some advice on my map. I am not really a creative person so bear with me. 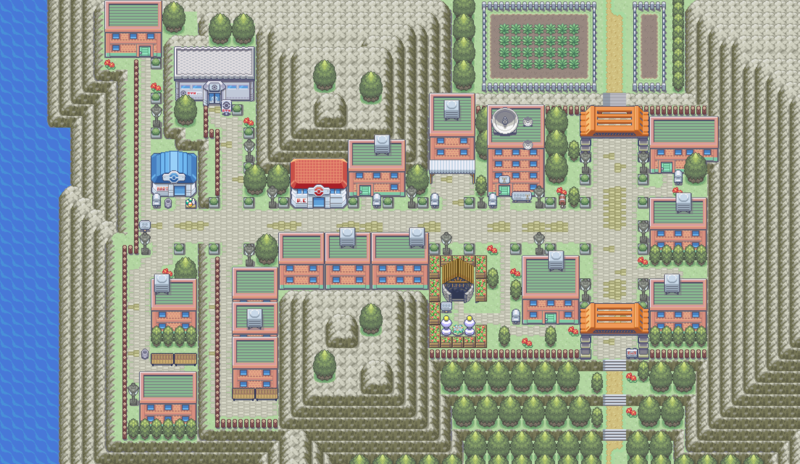 I know that some part of the town looks empty. But i don't know what to fill the spaces with. I agree that it does feel rather empty for a town, but I think it doesn't even have to be a town if you'd be willing to repurpose it. (There's been multiple routes where there was still a cluster of buildings located on them) And even if it has to stay a town, there's not really any rule that it shouldn't feel empty, y'know? 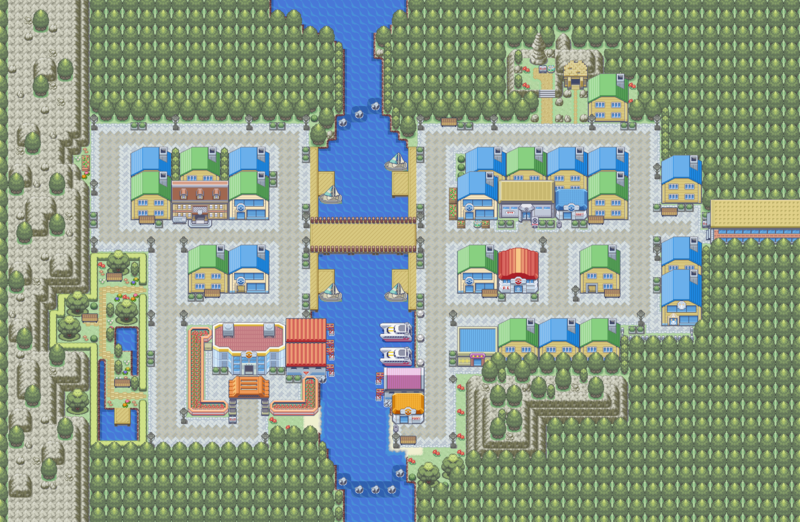 Different towns and cities all have their own atmospheres to create, and maybe "quiet riverside town" could suit this one just fine-depending on what you're needing for your story, of course. Wow thanks for the feedback. 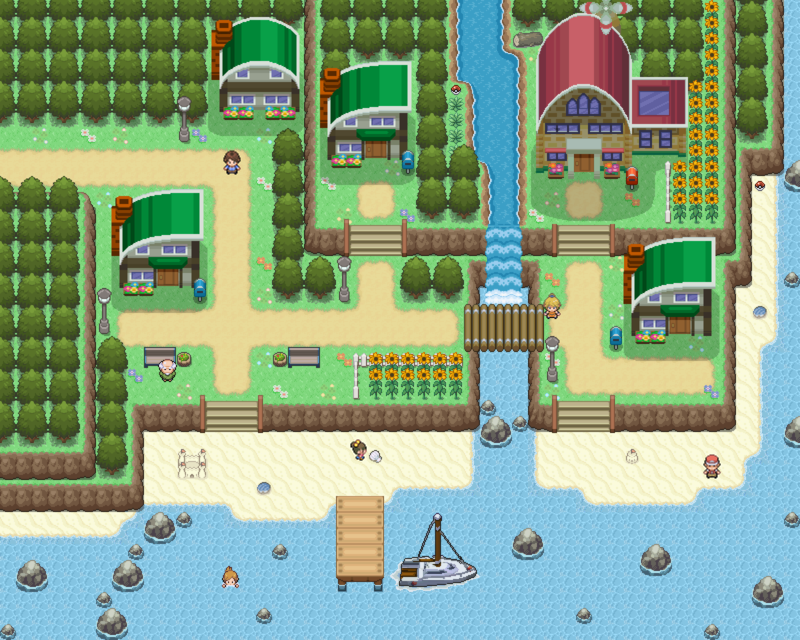 And yes it is for the starter town. 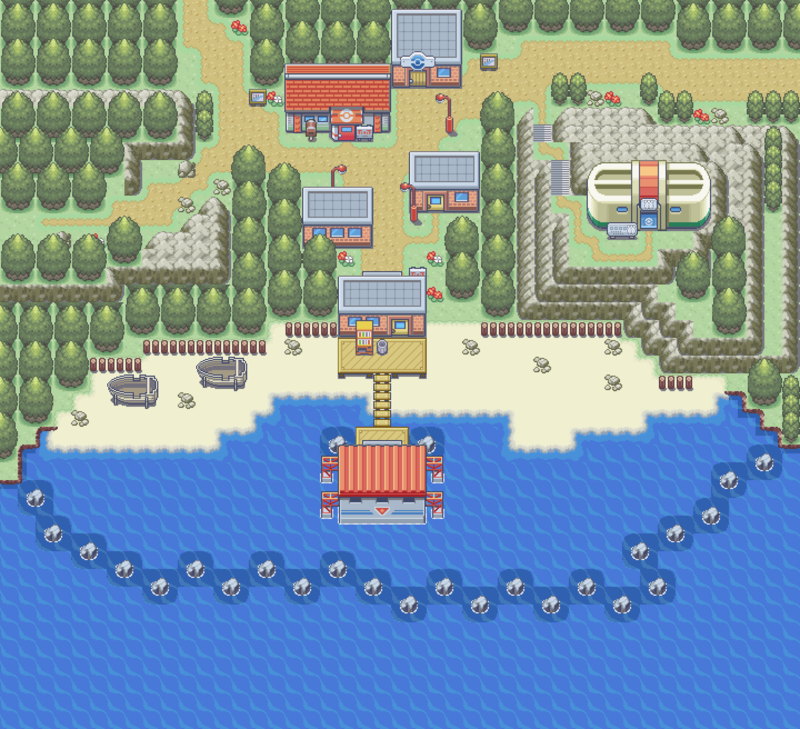 I think i am gonna take your advice and change it to a fishing village or some sort. Anyway thanks for the feedback i really needed it. Happy to help! Hope your project goes well! I think it's off to a great start! You've done a really good job including little decorations throughout the map that give it character without being overwhelming! Thank you for your reply ! 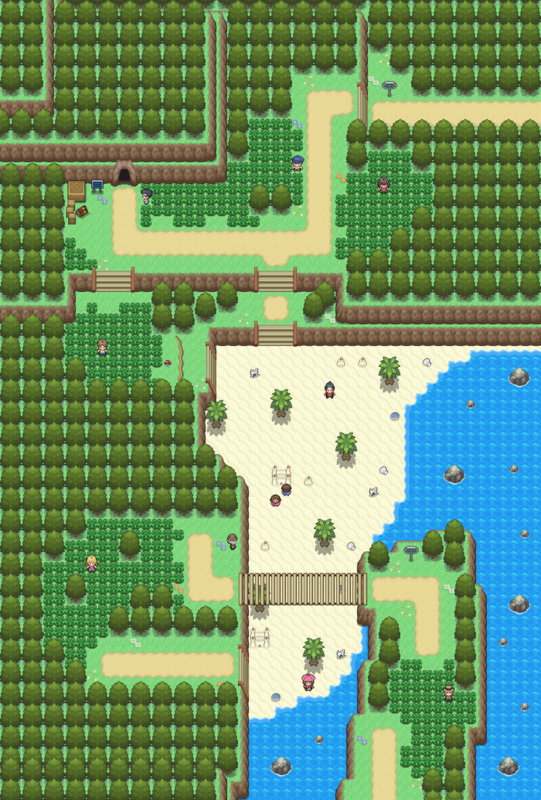 I had trouble rendering evnents with my screen capture script, so that's why most of htem face downwards, but the youngster, the backpacker and the first guy on the beach will be facing the player and you will have to battle them. 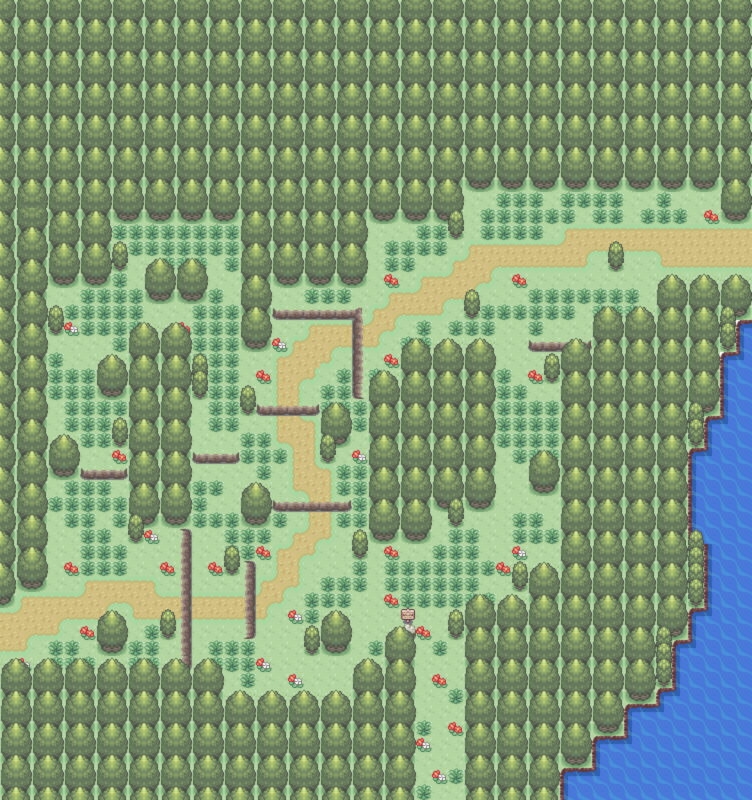 Mapping a forest for my game, but think that I'm missing something. Thoughts? Come check out my new game! It looks like a pretty good start! I think that lower portion is what's making it feel empty-even if it's meant to just be a trench, maybe include some minor decorations to make it feel more natural. 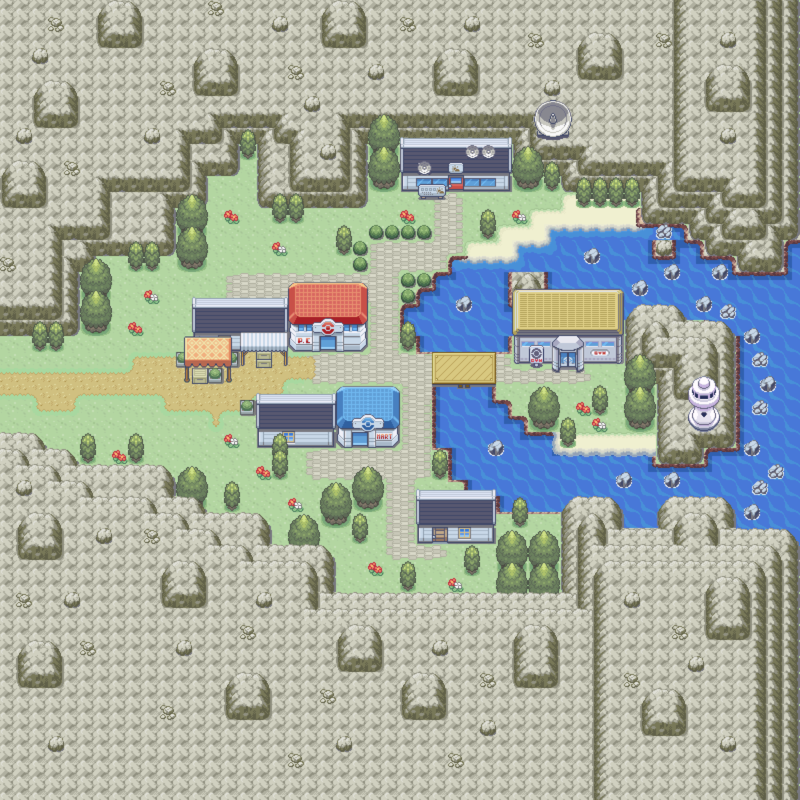 This map looks good, yet the long paths make the town look a lot bigger than it should be. 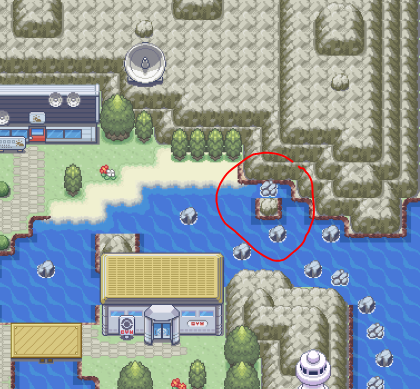 I like how you use the mountain tiles to fill in the open space towards the top of the map. Otherwise, I just have one question. 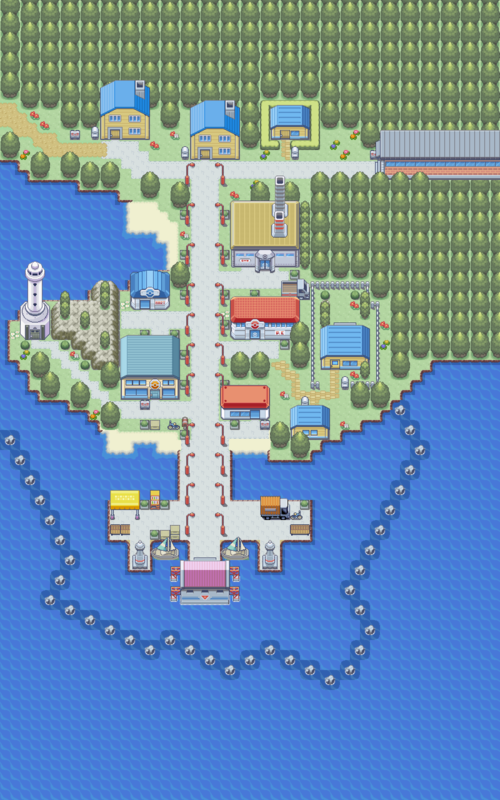 How did you get a screenshot of your map without the square grid in RGXP? I've been trying to figure that out for a while. 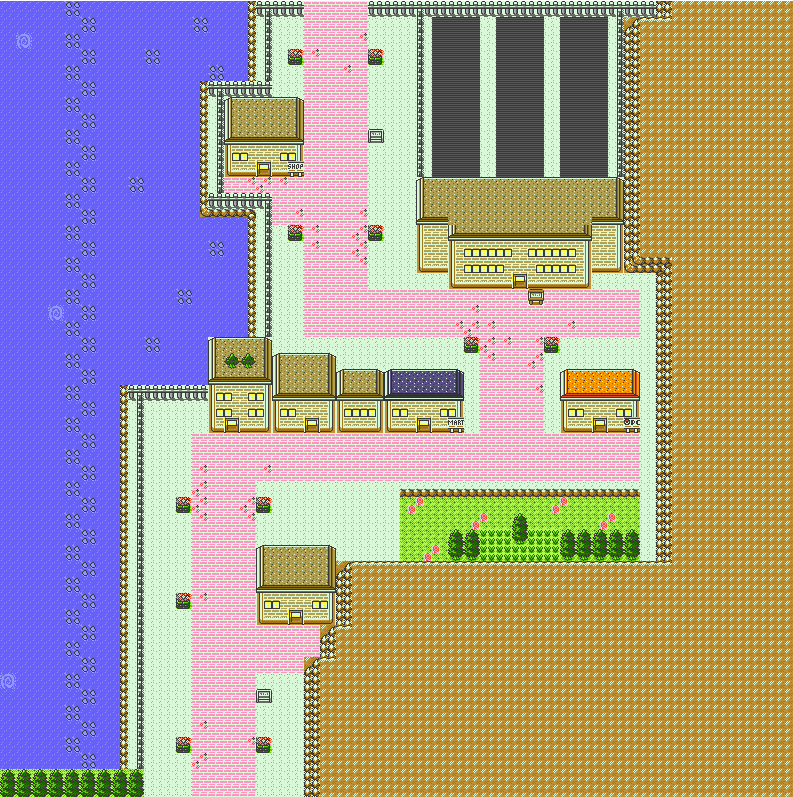 This is an early dungeon I am working on, accessible after the player has beaten the first gym. Thoughts? I think it's looking pretty good so far! I like how you have different kinds of houses that still seem to fit a style together-it feels more realistic than the typical uniform buildings! Take a picture while in eventing mode! I think the gap between your maroon floor and grey floor tiles is a bit jarring, though. I know it's important to have tiles you don't walk on be clearly distinct from the ones you do, but it seems odd to have a totally different color like that. I'd personally just use a grey darker than the tiles you walk on-it'd look more like the ground is the same throughout the forest while still making it clear which parts aren't accessible.